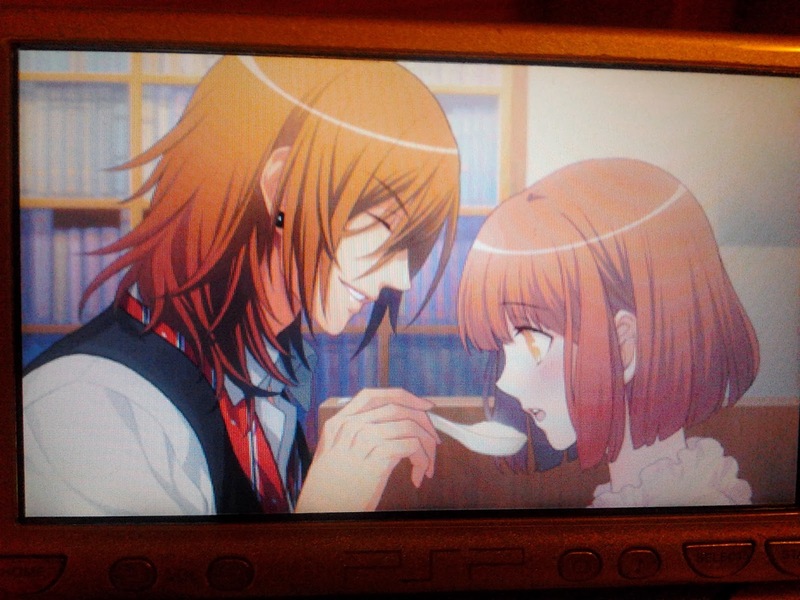 I finally finished Ren's route tonight. Ren is such a cute boy, I keep falling for his sweet words, "My lips belong only to you. And your lips... belong only to me." Ren's feeding you when you fell sick with fever. He's blowing on your porridge so you don't burn your "cute and soft lips". Ren: I love you. You, your music, your eyes, your hair and your lips. 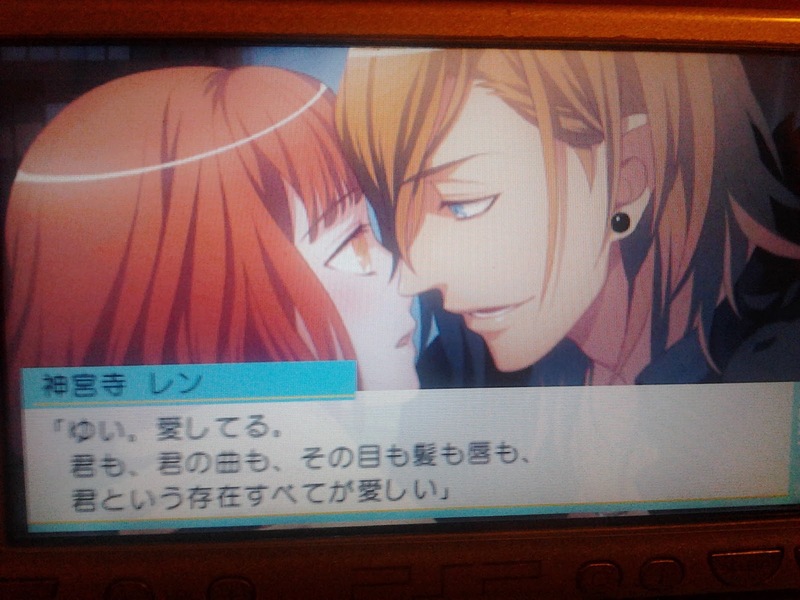 Time to play Otoya's route so I can unlock Tokiya.